Some time ago I visited the Leopold Museum. They have the largest collection of Egon Schiele paintings. They also show some paintings of Gustav Klimt. These two small sketches (11.5″x 6″) are inspired by the work of these masters. They are part of my experimenting with posture and color. This entry was posted in drawings, paintings, pencil, watercolor and tagged art, drawings, fine art, painting, pencil, watercolor on November 17, 2011 by lilo. This is a copy of a painting by Charles Reid. I did it for the purpose of studying his watercolor technique. 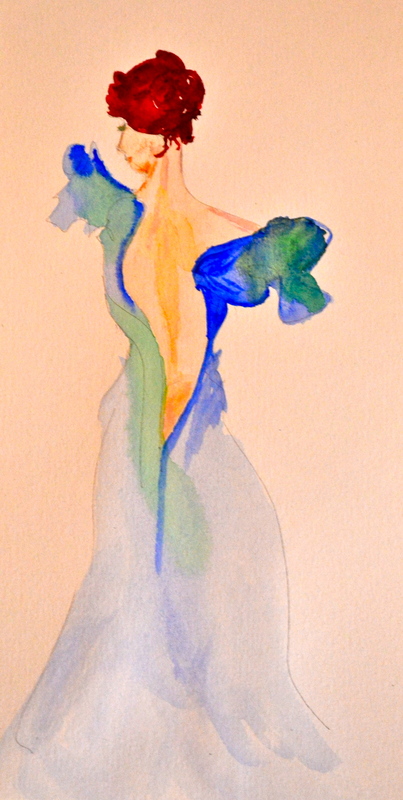 This entry was posted in paintings, watercolor and tagged art, fine art, painting, watercolor on November 8, 2011 by lilo. 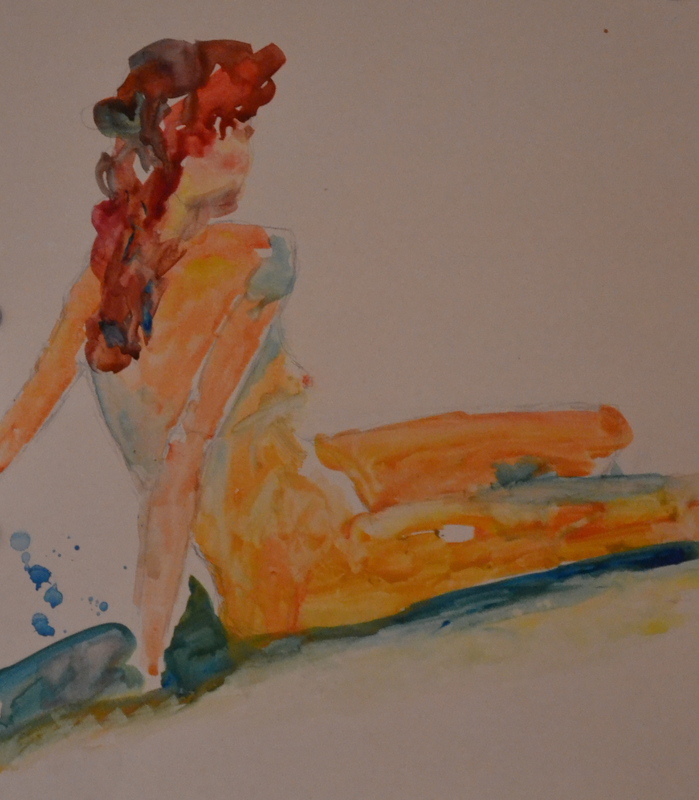 This entry was posted in watercolor on October 4, 2011 by lilo. Here is what I produced yesterday during the first day of Bev’s workshop. I tried to loosen up and paint a little more fearless. (I usually am very hesitant and think about every single brush stroke.) 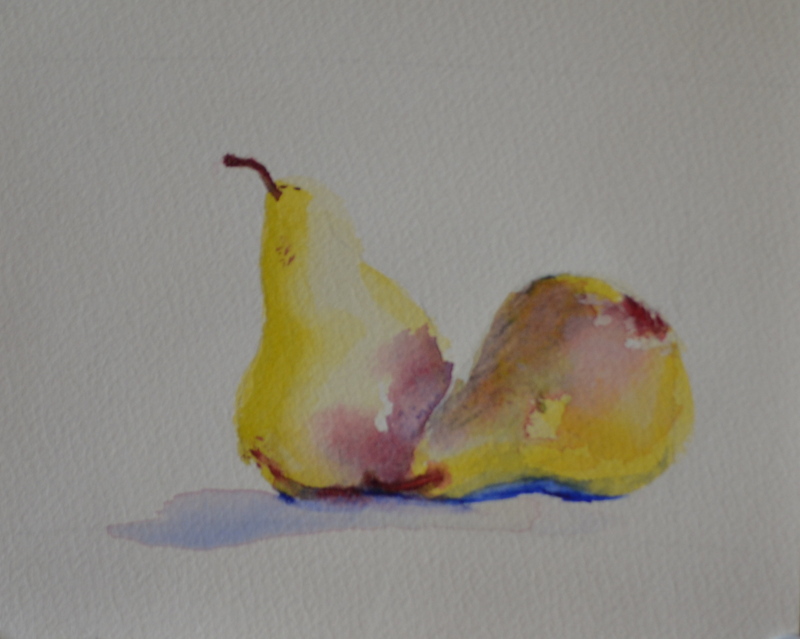 Bev’s bold, fast and fearless approach to watercolor painting encouraged me to try the same. Of course she has 20 years of experience and I only about three months but you have to dare otherwise one doesn’t learn anything. So, dare to mess up. There is no wrong or right, really. My painting did not turn out as I had imaging it when I started but I am happy with the result. 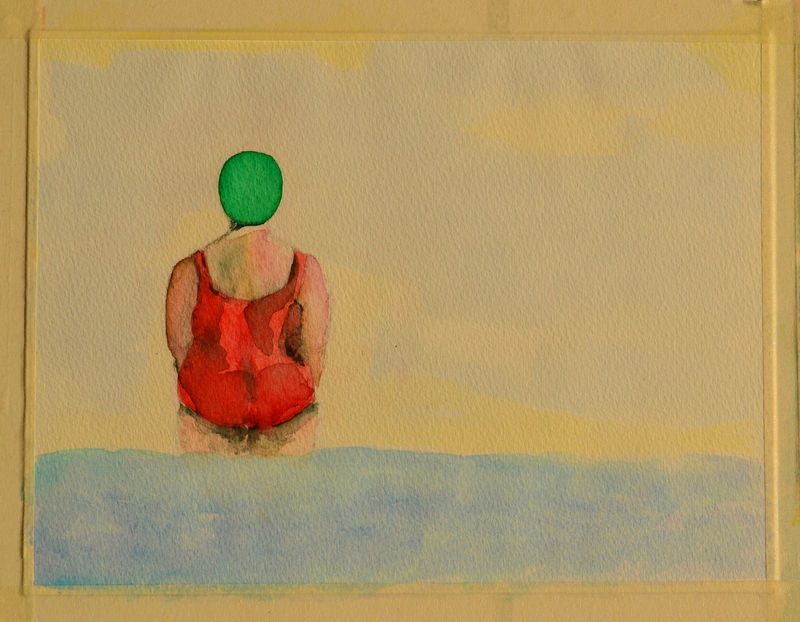 Another lesson learned – go with the flow (with watercolor that sometimes means literally) and accept the outcome. 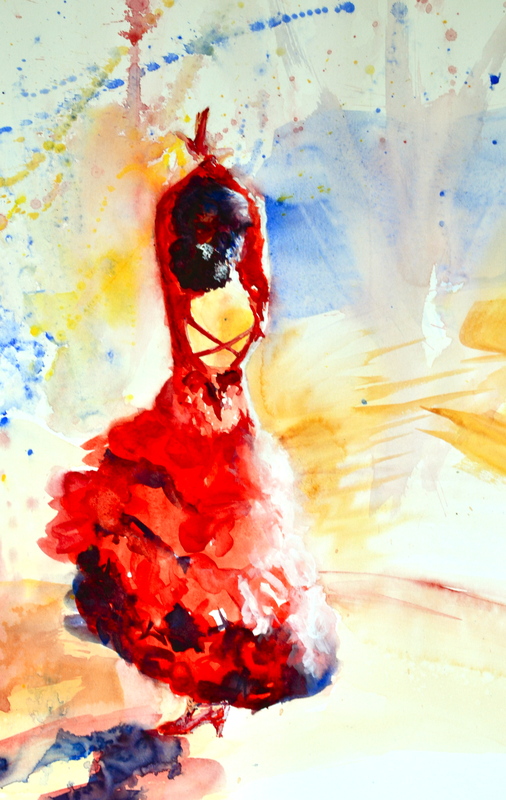 This entry was posted in watercolor and tagged art, fine art, watercolor, workshop on September 24, 2011 by lilo. After a few days of drawing class I was hooked. I wanted to learn more and experiment with other media. So I signed up for another of Joe MacKechnie’s classes, “Painting for the Fun of It” and tried watercolor painting. Watercolor (they say) is one of the most challenging media. I did not know that when I started 🙂 It sometimes frustrates me but then again I like the challenge. For the next three days I’ll attend a work shop with Bev Jozwiak. I really admire her paintings and I am very excited about the opportunity to study with her. Wish me luck. 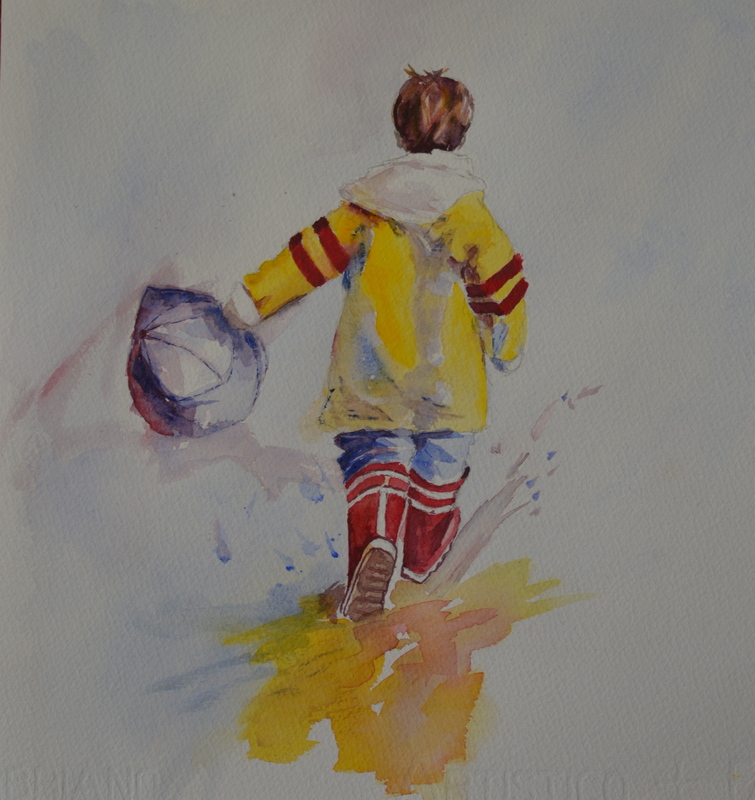 For the record: the painting of the little boy walking in the rain is from a book I own. I painted it but it is NOT an original creation of mine. I copied it from the book solely for the purpose of studying the technique of watercoloring. 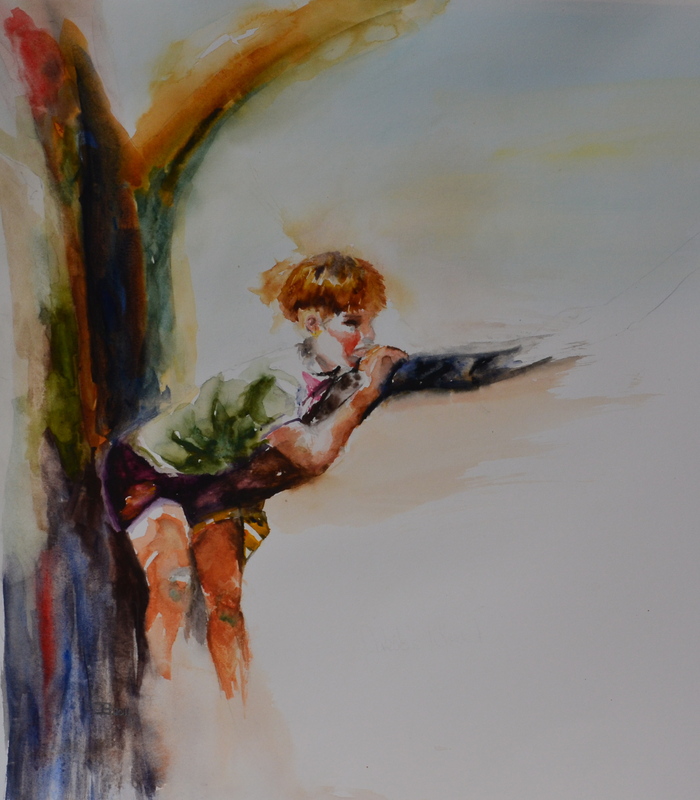 This entry was posted in watercolor on September 22, 2011 by lilo.